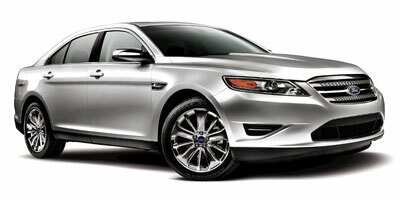 For those of us who were car-conscious in the ‘80s, the 2013 Ford Taurus brings the memories flooding back. Before the Accord and Camry ruled the roost, there was the futuristic-looking Taurus, viewed as a veritable spaceship on wheels when it debuted nearly three decades ago. One could argue that the Taurus was the first modern American family sedan, the granddaddy of present luminaries like the Chevy Malibu and Ford Fusion. But after almost 20 years of service, the Taurus was retired in 2003, having faded into rental-car irrelevance as Ford focused on building profitable SUVs. We all know how that ended, of course. But today the Taurus is back, and it’s once again getting the attention it deserves. Reincarnated a few years ago as a full-size car to replace the ancient Crown Victoria, the Taurus injects a healthy dose of modernity into Ford’s sedan lineup. To wit, our test car for this review, a 2013 Taurus Limited, comes standard with Ford’s MyFord Touch technology suiteâ€•a feature that’s simply not available on the 2012 Fusion. Competition is fierce at the Taurus Limited’s $33,000 starting price, but Ford’s definitely got a competitive offering on its hands, which is more than we could say in 2003 when the Taurus slunk off with its tail between its legs. That’s a memory that Ford would rather everyone forgot, and satisfying models like the 2013 Taurus Limited will certainly help the cause. The Taurus’s new front-end styling adds a welcome dose of aggression, even if the lower fascia makes us feel like we’re seeing double. The sleek dashboard and center stack evokes the forward thinking of the original Taurus. 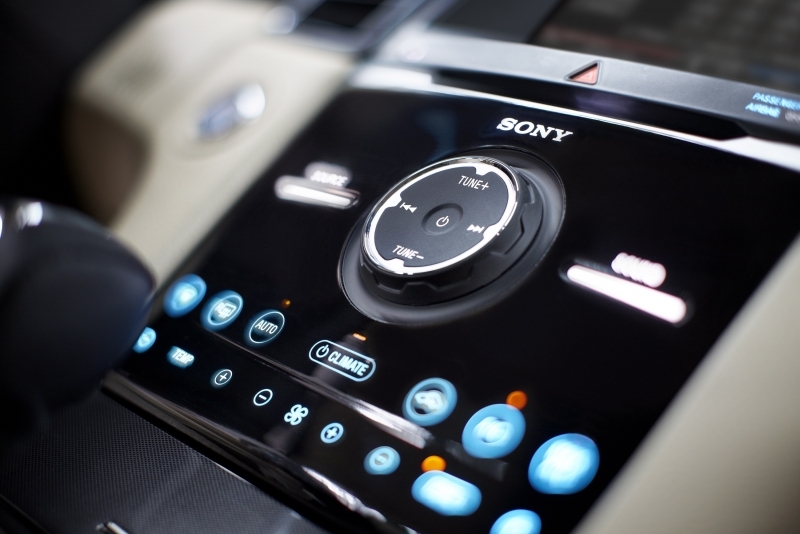 The Limited’s standard MyFord Touch system gives this Ford a high-tech edge over the competition. The trunk is bonkers enormous. Although the Taurus is a large car, its passenger accommodations seem midsize, which makes us question the point of buying a Taurus in the first place (unless you need a bonkers enormous trunk). The Taurus Limited’s handling is predictably rather nautical, but we didn’t expect the oddly firm ride that comes with it. 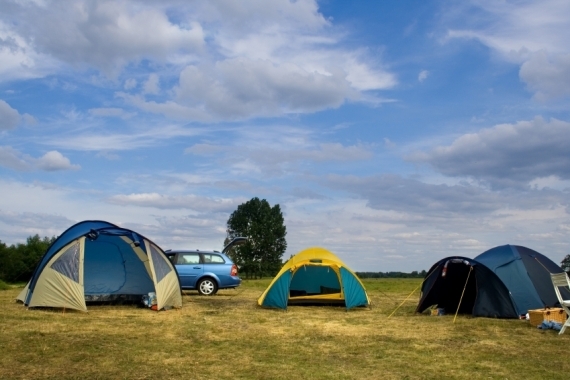 There are lots of great cars available at the Taurus Limited’s price. The cockpit-like driving position is a big part of the Taurus experience. Thanks to a rakish center stack that flows into the high center tunnel between the seats, the Taurus feels more like a sport coupe than we thought a large sedan ever could. But then you start driving, and the Taurus’s bulk becomes impossible to ignore. At over 4,000 pounds, the Taurus weighs as much as some crossover SUVs; what’s more, it covers a lot of real estate from stem to stern. 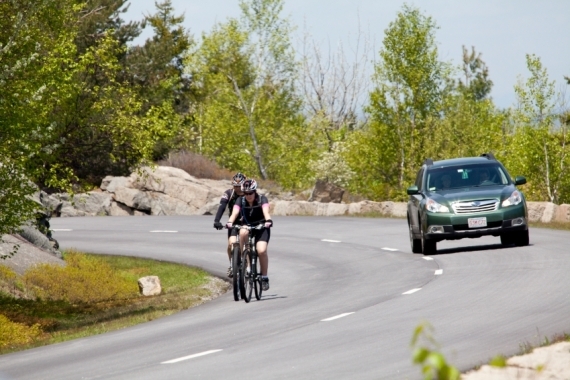 Throw in a suspension that likes to heel over in corners, and you’ve got a recipe for motion sickness on winding roads. Strangely, our Taurus Limited also had a pretty firm ride, which is the opposite of what we’d expect given the relaxed handling. On the bright side, the Taurus’s cabin remains hushed on the highwayâ€•so hushed, in fact, that illegal speeds feel completely reasonable. Don’t say we didn’t warn you. 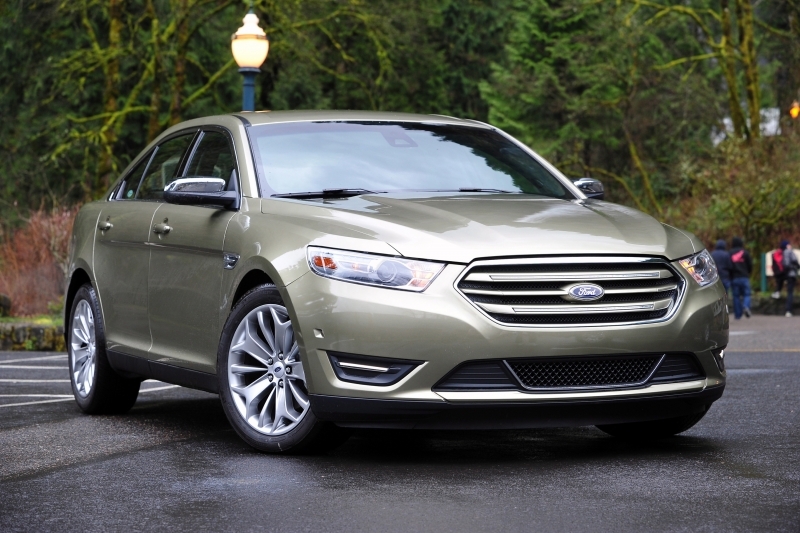 The 2013 Ford Taurus Limited is powered by a 3.5-liter V-6 that cranks out 288 horsepower and 254 pound-feet of torque. Our test car had front-wheel drive, but all-wheel drive is available (and adds over 200 pounds to the car’s curb weight). The transmission is a six-speed automatic. Ford’s 3.5-liter V-6 has always been a little grainy at high rpm, and the one in our Taurus was no differentâ€•we felt some vibration through the steering wheel as redline approached, and the strained noises emanating from the engine bay suggested mechanical displeasure. But acceleration is more than adequate, and the transmission is seamless under most circumstances. 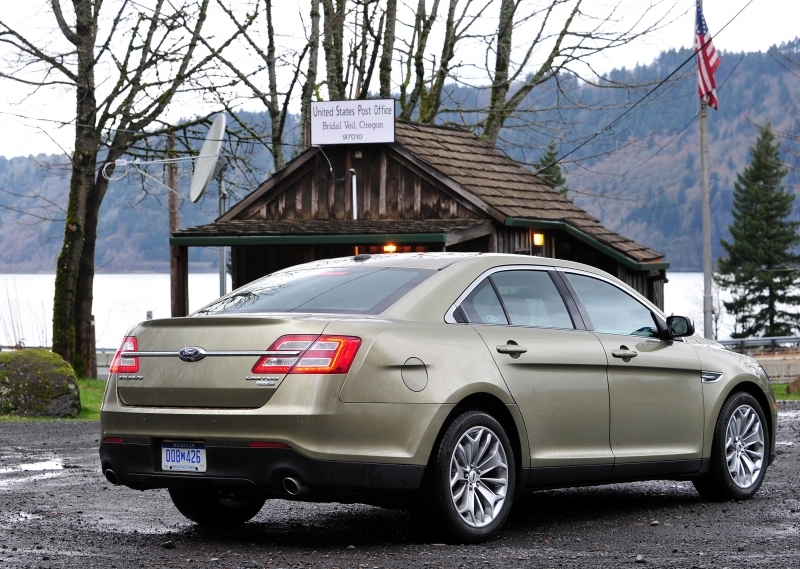 The 2013 Ford Taurus returns an EPA-estimated 19 miles per gallon city, 29 mpg highway, and 23 mpg in mixed driving. We think that’s fairly impressive for a two-ton bruiser like the Taurus. Newly standard on Taurus Limited for 2013 is the MyFord Touch system, which includes Sync voice-recognition capability, an eight-inch central touch screen, two customizable 4.2-inch displays that flank the analog speedometer, twin USB ports, and even WiFi hotspot functionality if you’ve got a USB mobile broadband adapter. Ford came under heavy fire for some early MFT glitches, but the Taurus Limited gets the new second-generation software, and we can report that it indeed constitutes an improvement over the original version. Notably, the the text is larger, the display screens are crisper, and the virtual buttons are more clearly marked as such. However, we still question the fundamental ergonomic soundness of MFT. The climate controls, for example, consist of flush-mounted buttons on a touch panel, so you have to take your eyes off the road to make adjustments. Like every Taurus, the Limited receives minor interior upgrades for 2013, including a welcome soft-touch covering for the center stack’s peripheral plastics. 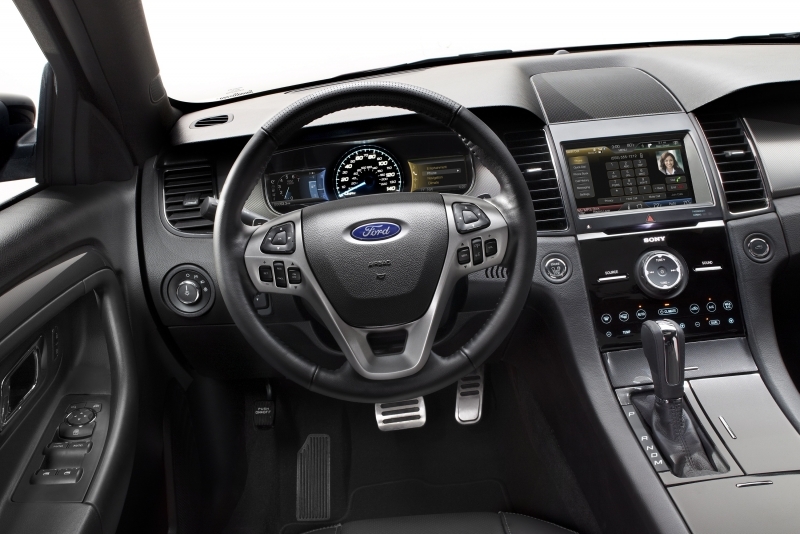 But the big difference is the MyFord Touch system, which visibly transforms the Taurus’s dashboard into a technological showcase. Before, the swoopy center stack seemed almost too futuristic, too spaceship-like. With MFT aboard, however, it fits right in. The Taurus’s front seats could use more lateral support. Cruising comfort is satisfactory, though the front headrests lean forward at Ford’s usual aggressive angle. The backseat can accommodate a couple six-footers, but headroom is barely adequate thanks to the “stadium-styleâ€ raised rear bench (a heritage feature from the Taurus’s predecessor, the Ford Five Hundred). Legroom also isn’t as ample as we expect in a large car. If you want trunk space, though, the Taurus is your ticket. How’s 20.1 cubic feet strike you? The Taurus got a new face for 2013, and we generally like itâ€•particularly the swept-back headlights and simplified upper grille. We find the lower grille a bit distracting, though, as it kind of looks like a botched Photoshop duplicate of the upper grille. As ever, the Taurus looks like an unusually big, tall car, especially in the trunk area. The Taurus has a couple fierce rivals in the Dodge Charger and Chrysler 300 twins. You can even snag a V-8-powered Charger R/T for Taurus Limited money, and both the Dodge and the Chrysler come with an excellent 8.4-inch touch-screen that we actually prefer to the MyFord Touch interface. There’s also the new Hyundai Azera full-size sedan, as well as family sedans like the Kia Optima SX, Toyota Camry SE V6, and Volkswagen Passat 3.6. We’d love to take the Taurus Limited on a road trip, but would we buy one for our own garage? Honestly, noâ€•not when there are so many appealing alternatives. Still, we’re glad that the Taurus is back in Ford’s good graces. It’s a car to watch going forward.